Federico M. Rossi is a Research Fellow at the Center for Inter-American Policy and Research in Tulane University, USA. His research focuses on trade unions and social movements in Argentina and Brazil, democratization and contentious politics in Latin America and Europe, and youth political participation. 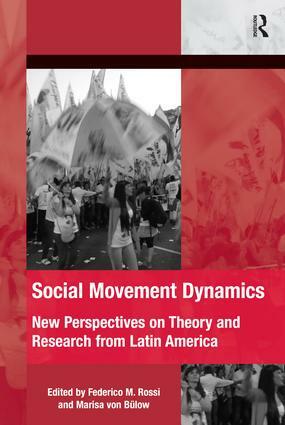 His work has been published in several edited volumes, International Sociology, Social Movement Studies, Mobilization, Latin American Perspectives, Latin American Politics and Society, European Review of Latin American and Caribbean Studies, and in Desarrollo EconÃ³mico, among others. Marisa von BÃ¼low is a Professor of Political Science at the University of Brasilia, Brazil, and a researcher at the Catholic University in Chile. Her work analyzes transnational civil society networks and, more recently, the uses of digital tools for activism. von BÃ¼low’s research has appeared in Mobilization and other scholarly outlets. She is the author of the award-winning book Building Transnational Networks: civil society and the politics of trade in the Americas (Cambridge University Press, 2010, published in Portuguese in 2014).